Fun fact. Cats aren't mentioned in the bible. Kittens turn into cats. Cats are A-holes. Sorry, no tip! 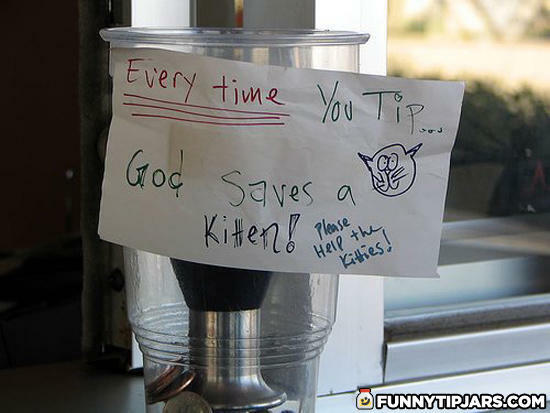 Judging on the amount of tips they've got in there, I'd assume that not many people like kittens. Everytime I tip I kill a kitten to even things up.